Premier integrates with G-POS Touch Screen Software Point-of-Sale system. 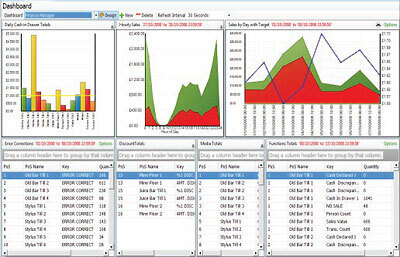 Premier is a true multi site, multi user and multi tasking product with many advanced features such as KPI’s (Key Performance Indicators), full graphical analysis and a report generator. Premier makes use of the latest software development technologies from the .Net family and also uses one of the most powerful database engines in the world – Microsoft SQL Server. Premier allows CPU sharing of machines distributed on the computer network and has real-time transaction processing. Designed to automate everyday procedures, Premier is the ultimate in EPoS back office software. The purpose of Key Performance measurement is ultimately to drive future improvements in performance. KPI’s are used to spot potential problems or opportunities. 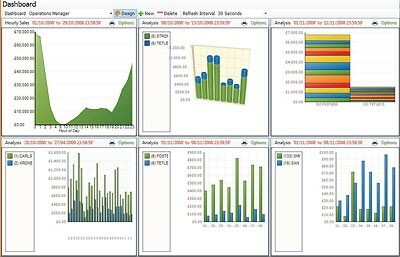 KPI’s can be customised for each dashboards with dashboards being stored per operator. For example a commercial manager may have a product based screen and the finance manager might want one showing more cash related items. Graphical Analysis to an advanced level is available in many areas of Premier including groups and products. 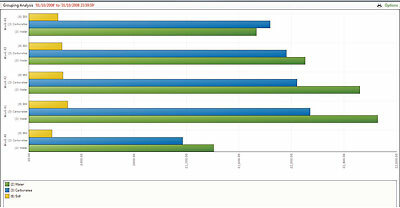 Graphical comparisons between different groups and products sold over date ranges is a standard feature. Premier has a built in report generator wizard to guide the operator through the production of all reports. Each operator can be individually locked out of certain functions within Premier. 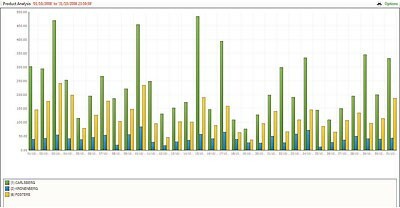 A full audit trail is available showing all operator activity. Contact us for more information about our EPOS Solutions or to arrange a demonstration.